The Humboldt Folk Dancers are gearing up to present the 13th Arcata International Folk Dance Festival the weekend of April 13-15. This biennial event (as in every two years), started in 1995 as an annual affair until it "grew too big for our little community" to put together every year, explained Craig Kurumada, one of the organizers and a member of the much loved local band Chubritza. Anyone who has gone to a Chubritza show knows what an exuberant music and dance party the band ignites. "It started as a fun weekend," Kurumada reminisced wistfully. Sure, it's still a fun weekend but it's gone from having fun with one guest band and one guest teacher, to having a ton o' fun with five guest teachers and 10 bands. That's how much the festival has grown over the years. All this special fun happens from Friday evening to Sunday midday in the main room and the kitchen of the Bayside Grange, and next door in the classrooms of Mistwood School. Kurumada exudes the same enthusiasm speaking about everyone involved in this extravaganza, from the teachers who lead the dance and music workshops to the musicians who come to jam and the bands performing throughout the weekend. 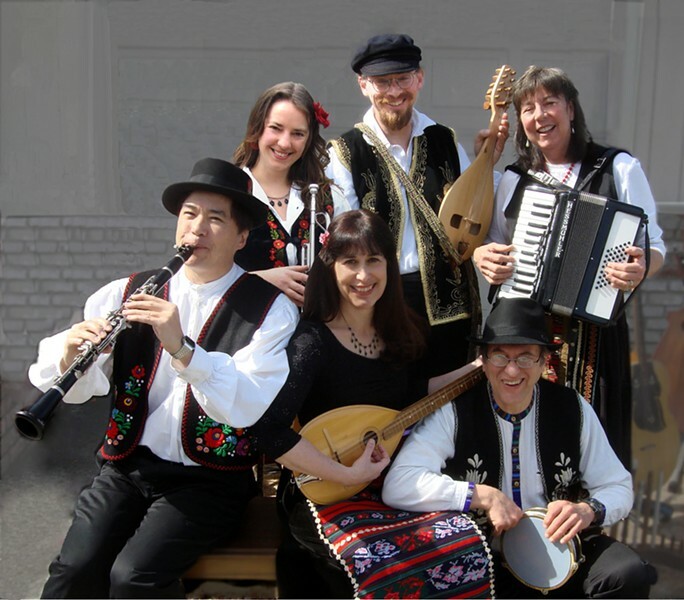 The line-up of classes and performances is packed with internationally known teachers, dancers and musicians, not to mention Bulgarian food catered by the Bebelekovs family and friends, who incidentally are on the program as performers. The Grange's main room serves as the dance hall, with dance workshops during the day and concerts and dance parties at night. After hosting workshops and jam sessions during the daylight hours, the Grange kitchen becomes a kafana, a Balkan-style coffeehouse "where people don't have to dance. They can sit and socialize, have a nosh, have some refreshment." During the concert performances, two bands are always playing, one in the dance hall and one in the kafana. The Grange's doors open wide on Friday at 6:30 p.m. for registration and a potluck dinner accompanied by the local Celtic quartet Good Company, with violin, whistle, mandolin, cello, guitar, accordion, cittern (a stringed instrument dating from the Renaissance) and bodhran, an Irish frame drum. Pretty impressive for ambient dinner music. The evening continues simultaneous performances in the dance hall and the kafana showcasing eight, (yes, count 'em, eight), different bands. That's just a warm-up. On Saturday night there are five different time slots in both performance spaces, meaning you can potentially hear 10 different bands if you so choose. Let's say after working up a sweat dancing kolos (circle dances) to the Arcatafest Tamburitza Band, you schottische (step/step/step/hop) over to the kafana to rest your feet and reinforce yourself with some refreshments while listening to Dva Nastrave, which means (get ready) Dueling Accordions. What could be more fun than dueling accordions? Finish the night back in the dance hall, throwing it down to international folk music by Chubritza, one of the host bands, with Kurumada playing clarinet and a type of bagpipe called a gajda, plus violin, accordion, spoons, snare drum, accordion, violin, Croatian stringed instruments called prim and bra?, and t?pan, a large Turkish double-headed drum played with sticks. These folk are no slouches. Saturday morning, it's time for school. The instructors' resumes are an arm and a leg long, including prestigious international study and performance, and multiple master's degrees and doctorates. Studying the music and dances of a region means going deep into ethnochoreology, which is the study of folk dance through the application of multiple disciplines, such as anthropology, musicology and ethnography. Traditional dance is studied as part of the cultural history of a community, leading to an understanding of the underlying power of dance in shaping culture, which intrigues the heck out of me. Among those leading dances is John Filcich, an icon in both the Croatian and American folk community, who started the ongoing Kolo Festival in San Francisco 60 years ago. Kurumada shares, "He has been this wonderful resource for us. He has this incredible knowledge of these dances that have died out in Serbia and Croatia. He's a living history of these dances." Filcich is connected to Humboldt through his daughter, Jana, who stayed in Arcata after graduating from HSU and co-founded Planet Chai. Filcich will teach Croatian couple and circle dances with unusual steps called Drmeš, that entail bouncing up and down really quickly. I was surprised to see Jerry Duke's name -- he was teaching folk dance at San Francisco State back when I was there in the early ‘80s. Kurumada laughed, "Jerry doesn't age," and said Duke teaches, "a mixed bag, including African and Indian, an Indian Bhangra, Bollywood dancing ... His specialty is different kinds of Balkan dancing from Greece and Turkey -- really popular. He may do a workshop in Appalachian music: bowed saw, mouth harp and mouth bow." Kurumada described Daniela Ivanova, who will teach Bulgarian dance, as "an amazing dancer with a beautiful voice. She'll sing as she dances and shows you the steps. She's extraordinarily graceful." For the first time Dave and Emma Charlebois will be teaching Scandinavian folk dances: schottisches, polkas and the polska, "a slow and graceful couples dance, that is in a three, but not at all like a waltz [with] turns, spins, alternating walks and spins -- very elegant." The weekend is sure to be filled with rich, soulful, joyous surprises making for big fun for all ages. 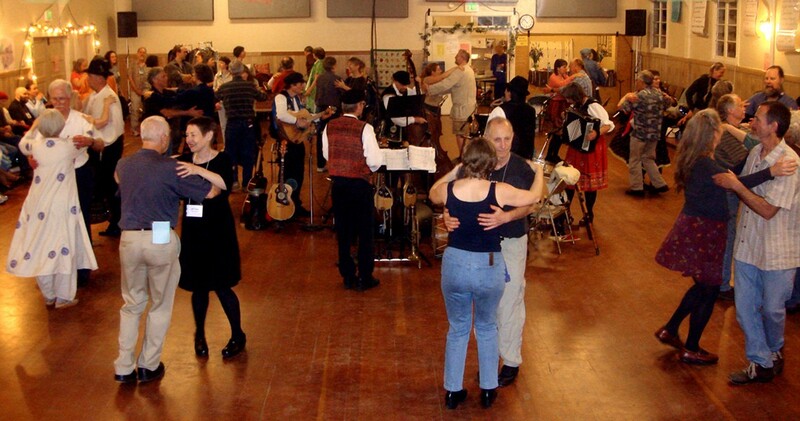 The 13th Biennial Arcata Folk Dance Festival takes place Friday, April 13 through Sunday, April 15, at the Bayside Grange, 2297 Jacoby Creek Road. Friday's potluck and party starts at 7 p.m. Admission $7; Saturday dance, instrument and singing workshops run from 9 a.m.-5 p.m. $10 each; Saturday concert and party, 7 p.m.-midnight, $15; Sunday morning wrap-up 9:30 a.m.-noon, $3. Full package: $55; children under 14, free. (Meals not included.) Full schedule at www.arcatafolkdancefestival.org, info at 707-822-8045 or 707-599-0003.